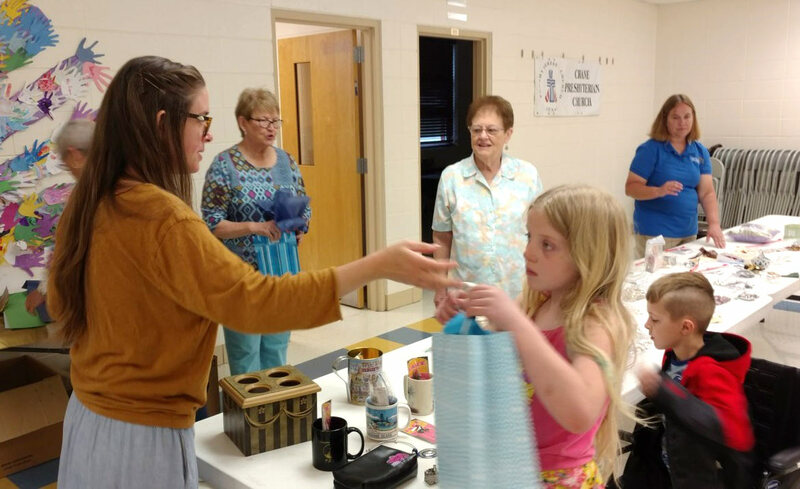 The congregation of Crane Presbyterian Church recently completed their annual “Mothers Day Mission Project” for the benefit of PreK through Third Grade students at Crane Elementary School. Church members collect a variety of items which the students can select for free to give their mother, grandmother or guardian in honor of Mothers Day on May 13. Following the students’ selection, the items are wrapped and bagged for the students to take home. Pictured are Crane Elementary students Abbie Wells and Brodie Neill as they are assisted by Church members (left to right): Elizabeth Exley, Donna Ellis, Mary Hayes and Linda Holt.